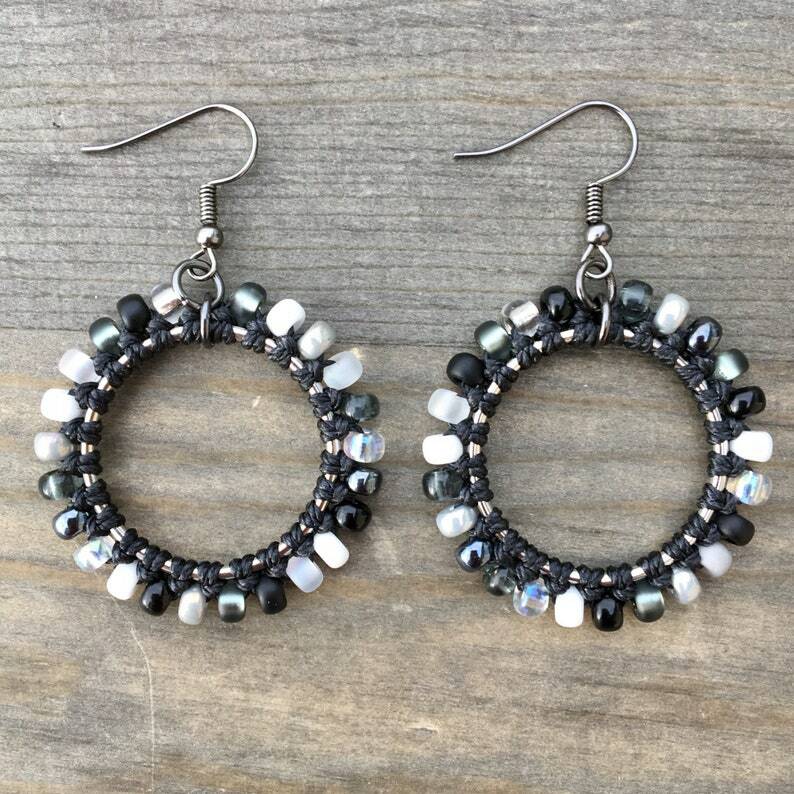 These earrings were knotted with black nylon cord and Miyuki glass seed beads in a mix of black, white and gray. The perfect statement earrings without being too bold. ❤️ Lightweight to wear and have nickel free findings and gunmetal earring wires. ❤️ Size: A little over inch wide and approximately two inches in length.